Great sreps for getting an a curate 1/4 seam. Thanks for the tip! I need all the tips I can get! I use the painters tape method that you suggested. I like that I can then match up the fabric edge with the tape. new machines have a different size foot, I learned the hard way. Or was it just that I was off somewhere else?! I think what helps me most is accurate measuring , your cutting needs to be accurate to have accurate finished blocks . 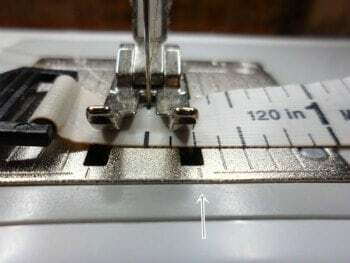 Starting and stopping at 1/4 inch as you begin | end the two pieces is critical to an accurate 1/4 inch seam. 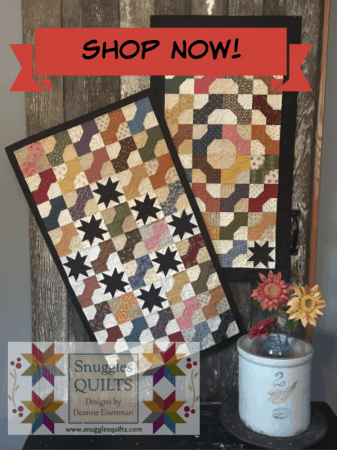 Scrap piece of fabric (lender or spider) to start stitching. Single hole plate is very helpful. Great tips! Thank you. Sometimes I find a scant 1/4 inch seam helps with accuracy particularly on mini quilts. 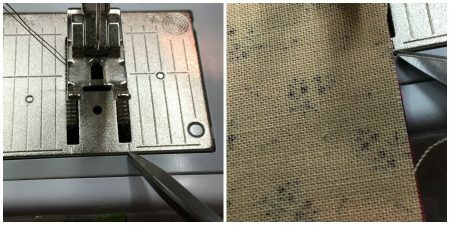 I like the “Perfect Piecing Seam Guide” by Perkins Dry Goods to help with alignment. 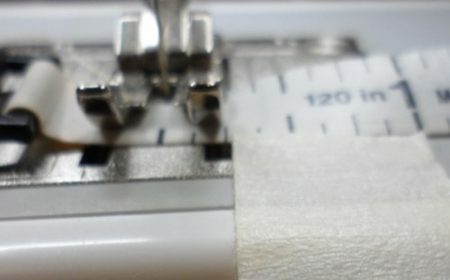 I use washi tape or painter’s tape to mark the scant seam line; it’s easily removed. Thank You for the tips. I struggle with accuracy and I usually start out with great intentions but I tend to get in a hurry as I go along and that affects my accuracy. I also think careful pressing is important along with a sharp rotary cutter blade. 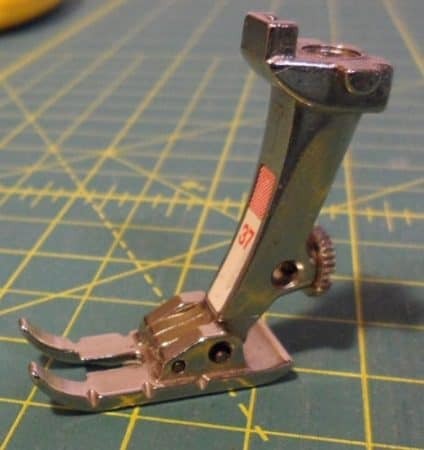 I use the 1/4″ foot and that helps keep me on track. I also measure each block now when done. I try to use a ruler that is the size of the block. When piecing small blocks I like to use a stiletto or something like it to help control the block as it feeds through the machine. 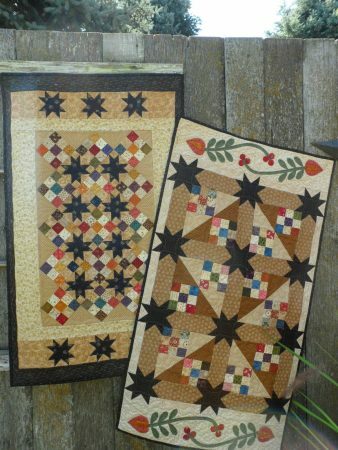 I use the same ruler for all rotary cutting on a quilt; the difference in markings from company to company can be astounding! 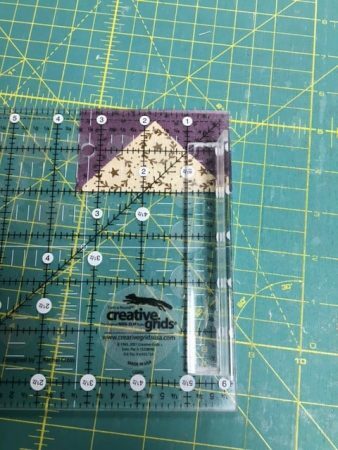 I also use the method you showed, but I use that same ruler to mark my 1/4″ line on my machine bed (after all, what good is consistent measuring if your 1/4″ seam is off because you used a different tool to figure out where the sewing line is?). 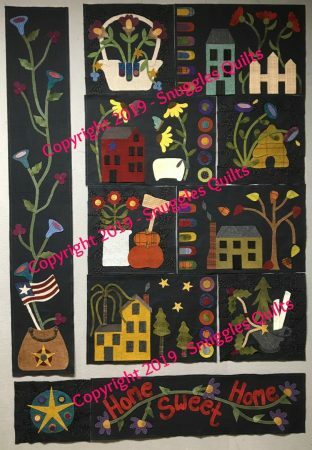 And I try to slow down when I sew, especially with small/tiny blocks. The margin for error seems to drop appreciably when I do these things. I use my stylus to guide my fabric especially towards the end or the seam where I have a tendency to go off my quarter inch mark. Great tips thank you. 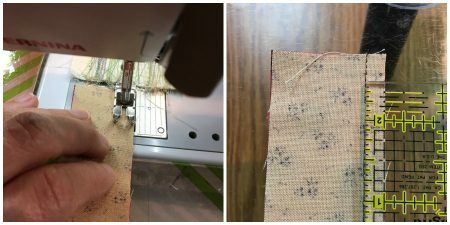 I find measuring accurately and rechecking regularly are a great help as well as a consistent 1/4″ seam. 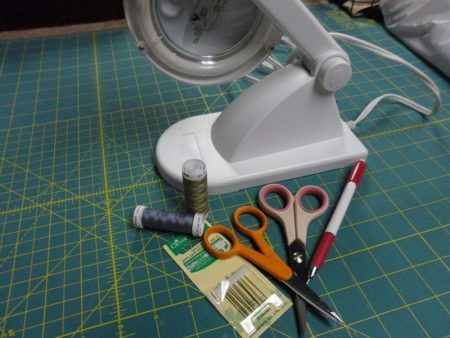 Also use the same rulers for cutting the whole project as I have found these can vary.